We’ve all heard that positive thinking in golf is a must. But how exactly do you think positively? One interpretation of thinking positively is taking an optimistic, look-on-the-bright-side approach to life. 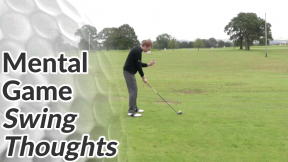 In this video and article, I’d like to look at another interpretation of thinking positively in golf and it’s more about thinking in positives. You’ll often hear the phrase that “golf is a mental game” or “golf is played 90% in the mind”. This might be true at the very highest level of the game, but the vast majority of amateur golfers have technical faults that prevent them from playing with any real consistency… no matter how positive they are! Don’t rely on psychology alone to transform your game. 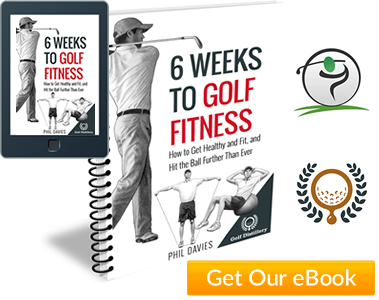 With that said, any golfer at any level can improve their game and consistency with the right thought processes and mindset before, during and after each shot. 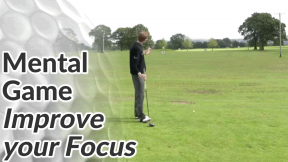 In particular, focusing on what you want rather than what you want to avoid can really help your overall golf game. Whenever our brain hears the word “Don’t” or a negative it automatically omits it and begins thinking about what comes after the word “Don’t”. The classic example is “Don’t think about a pink elephant“… which of course causes you to think about a pink elephant. On the golf course, if you say to yourself “Don’t leave this putt short“ your brain will probably make a picture of a short putt and endeavour to make that happen. Or you might say something less obvious to yourself like “I’ve got to avoid the water on the right” – which just causes your brain to think and focus on the water. Retraining our thinking to look at things from a positive point of view increases the chances of getting what we want. Instead of saying to yourself, “Don’t leave this putt short“, say “I’m going to hit this putt just past the hole“. On the tee is another opportunity to think in positives. 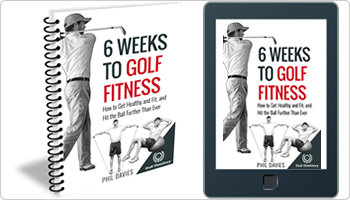 If you catch yourself focusing on a lake to the left, a bunker down the middle or out of bounds markers on the right, stop and tell yourself what you want… “I want to hit the fairway – that portion of the fairway right there“. Make a picture of the ball flying to your target as you stand behind the ball. This might not work every time, but it will increase your chances of landing the ball where you intend. And like anything, you’ll find that you improve with practice – you’ll get better at automatically focusing on what you want, completely ignoring what you don’t want. Sneaky Tip: In team match play events, you’ll often play away at courses you haven’t played before. 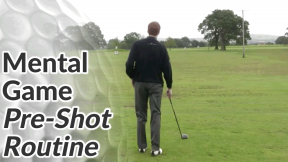 On the tee, ask your opponent only where the ideal target is. The tendency is to get a full breakdown of every hazard on the hole – but that will only cause you to think more about them. Politely ask your partner not to tell you about hazards – just the ideal line.You could be try to be extra sneaky and do the reverse when an away player visits your course. But bear in mind, as you describe each hazard to them, you are also making images of them in your own mind – so it’s a tactic that might very well backfire!